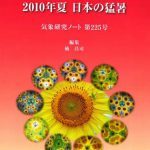 The Japan Geoscience Union Meeting brings together researchers in differing specialties from many institutions throughout the world. Many oral presentations, poster presentations, invited lectures and special lectures have been held till now. 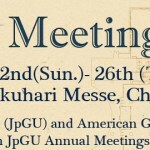 In 2018, JpGU Meeting will take place at Makuhari Messe, Chiba, Japan from 20 (SUN) to 24 (THU) May 2018.